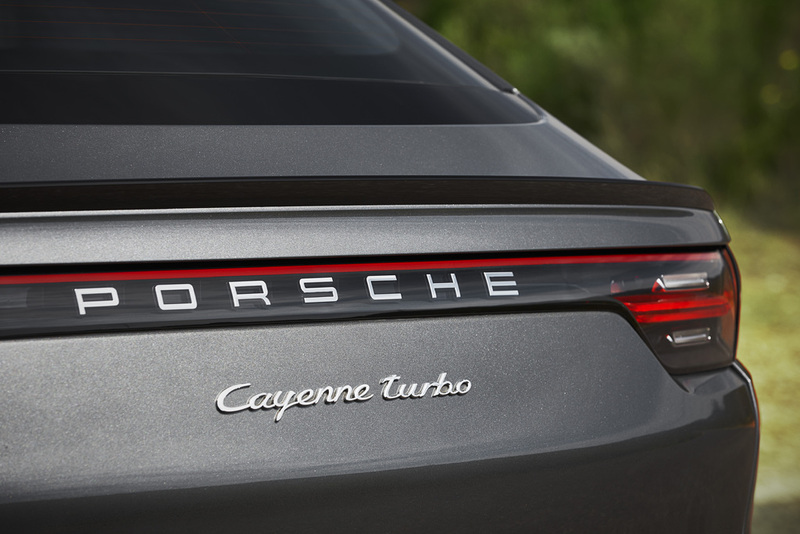 When viewed from the front, it's a little hard to tell the two Cayennes apart. 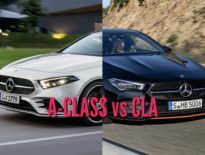 Ahead of the A-pillar everything seems to be identical, including the front fenders, headlamps, bonnet and bumper designs. 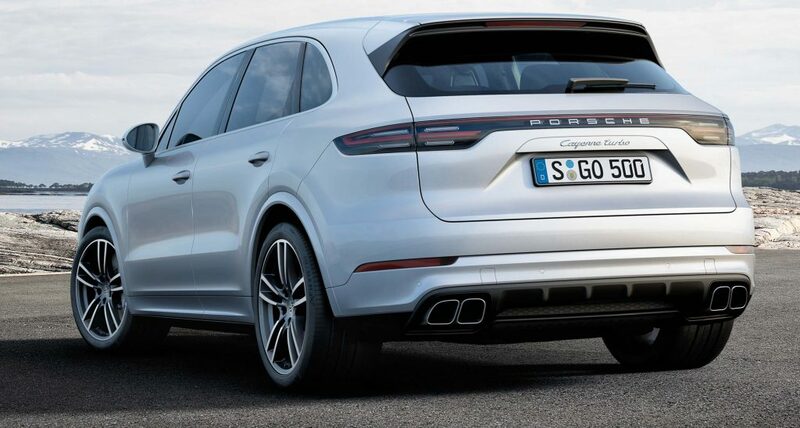 The differences are more obvious from side on. 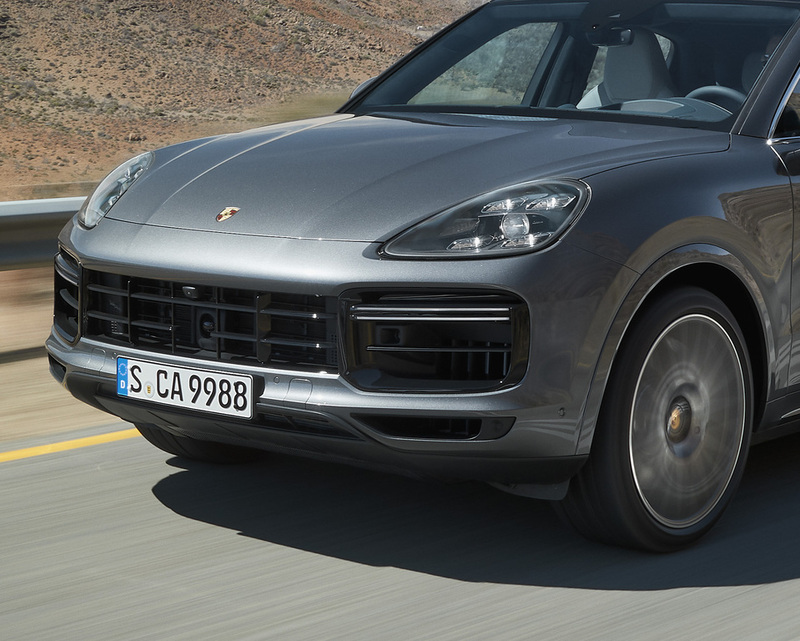 Overall height has been reduced by 20mm (0.8-in), so there's a new front windscreen and A-pillar. 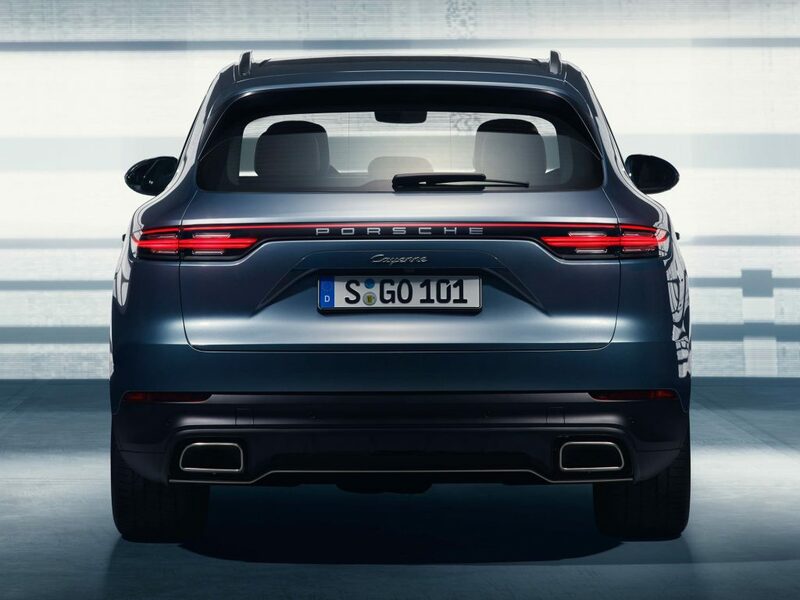 The roof and the rear tailgate are more heavily raked, so those are new too, as are the rear fenders, which are 18mm (0.7-in) wider. 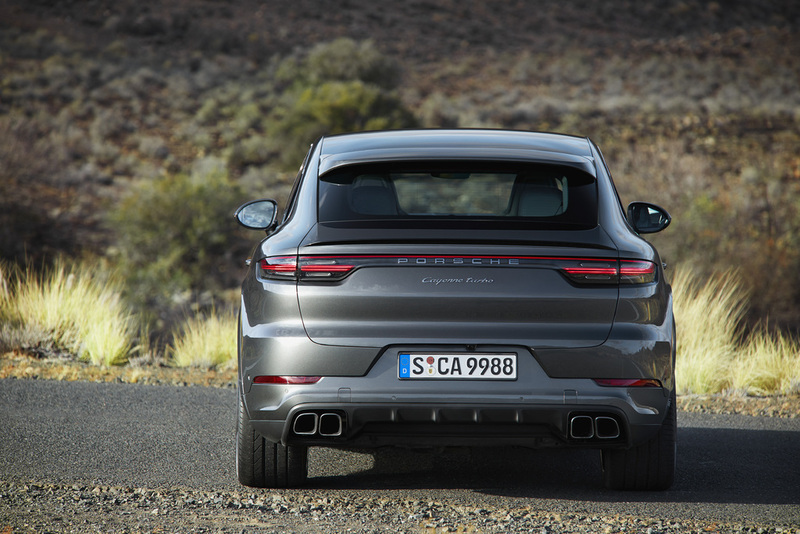 Because it's a 'coupe', the new Cayenne variant not only has a more steeply raked rear, but it misses out on rear windscreen wipers. 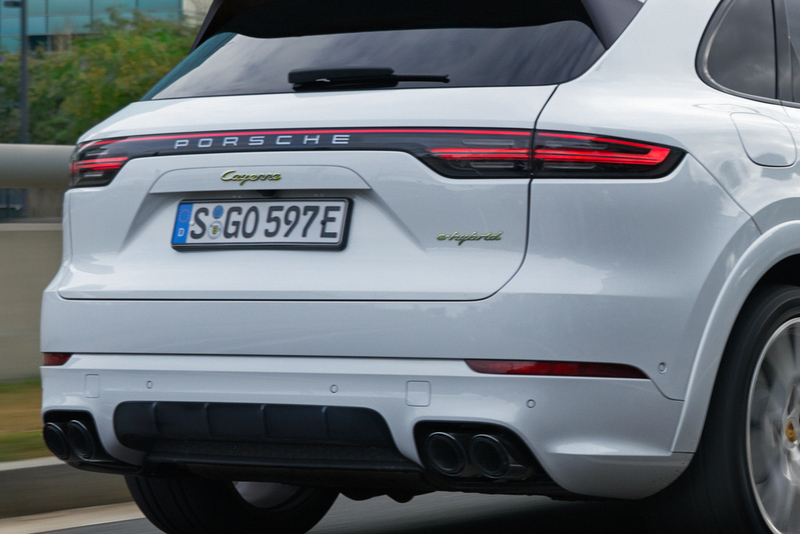 The Cayenne Coupe has a slight 'deck' to its tailgate with an integrated lip spoiler. 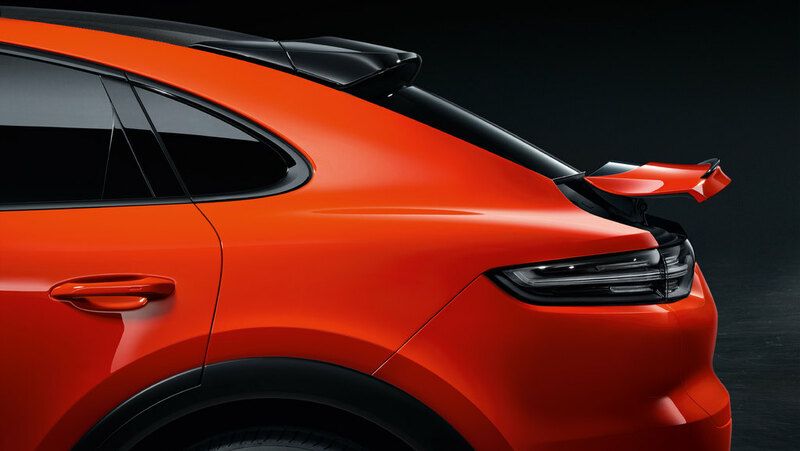 The coupe also has an adaptive rear spoiler, which can automatically extend up to 135mm (5.3-in) at speeds above 90km/h (56mph). 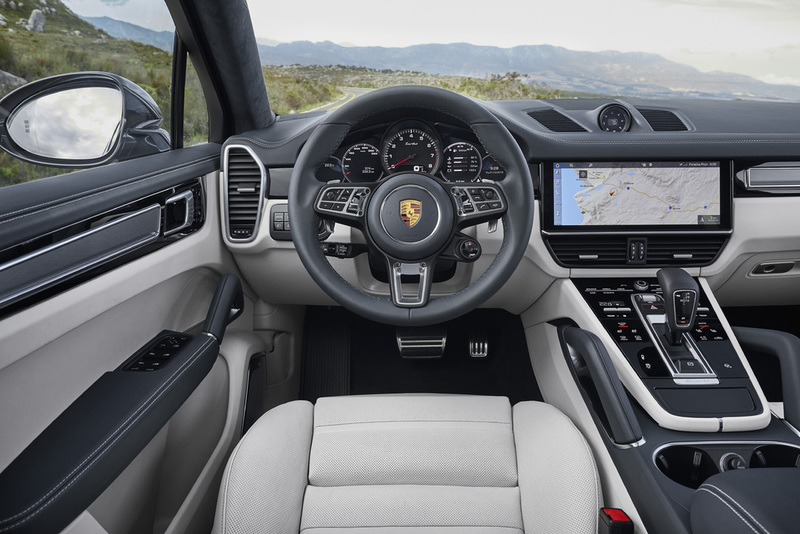 The dashboard and interior are shared between the Cayenne and Cayenne Coupe. 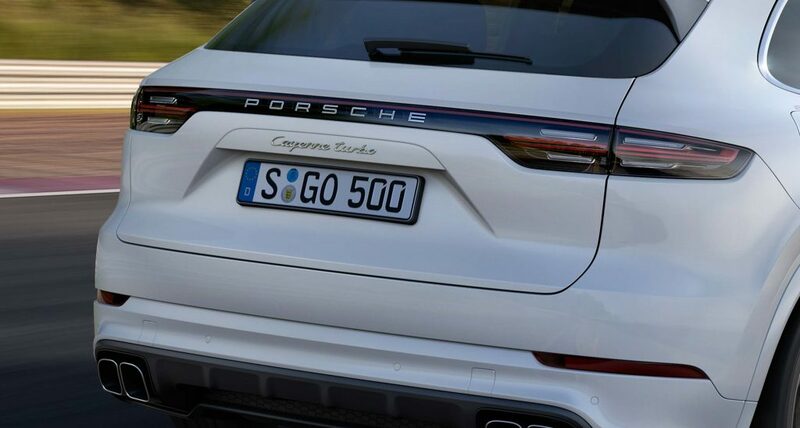 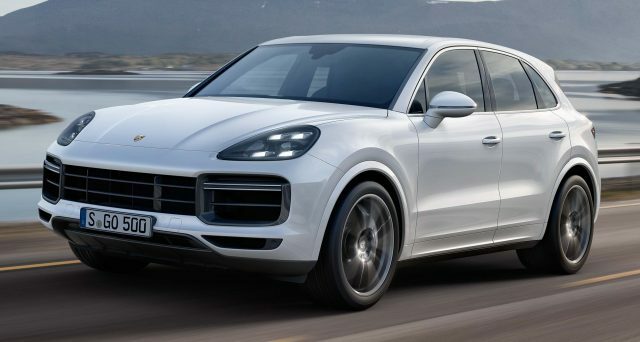 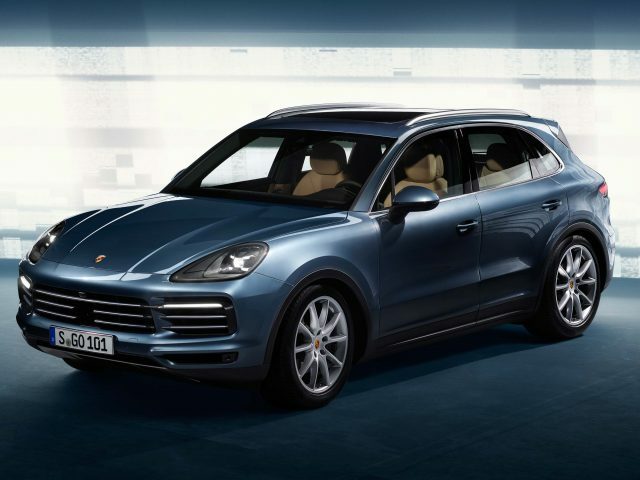 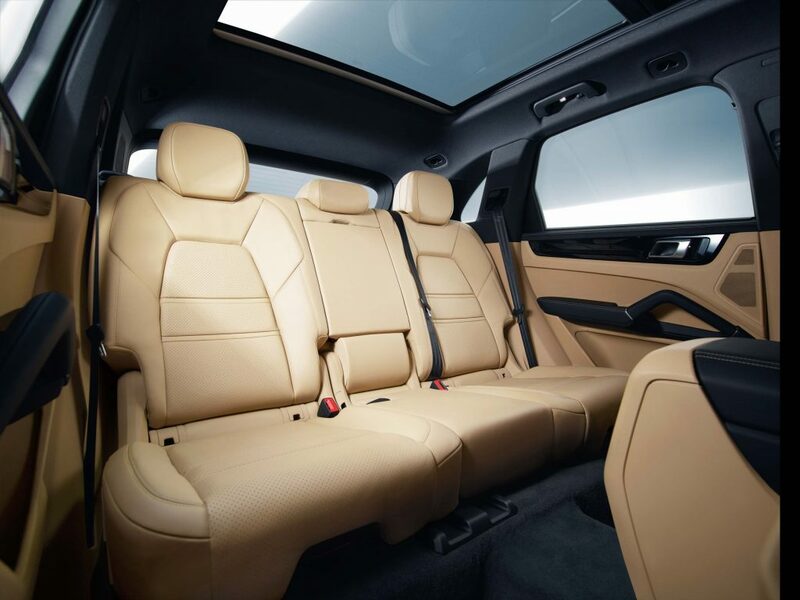 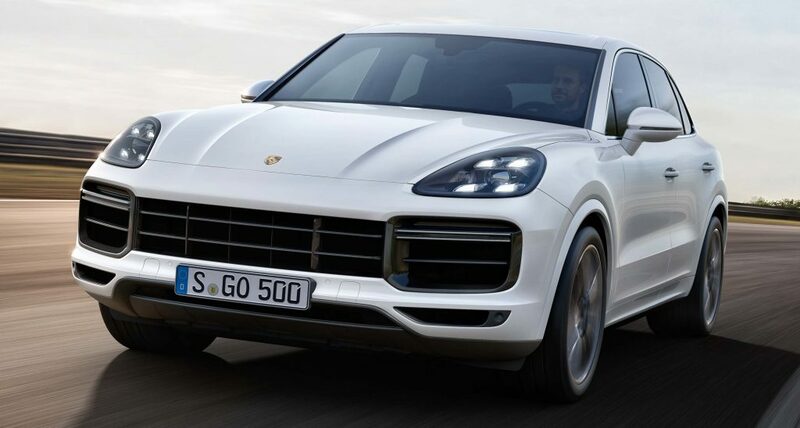 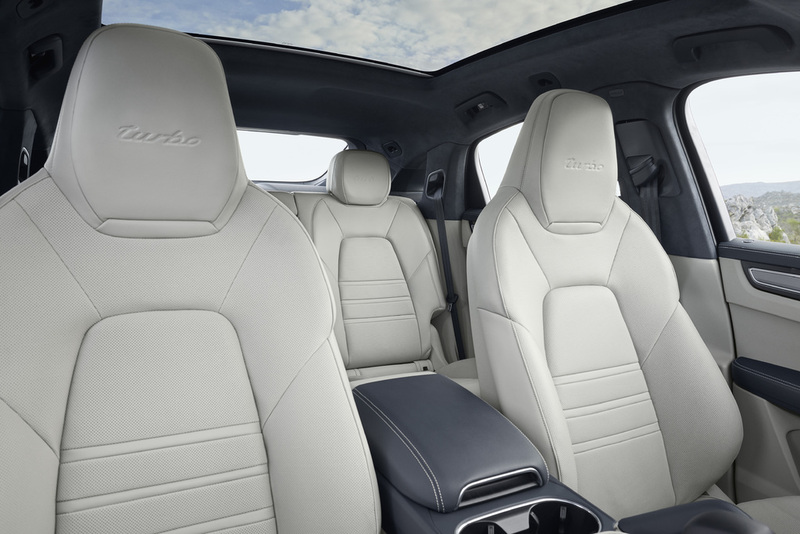 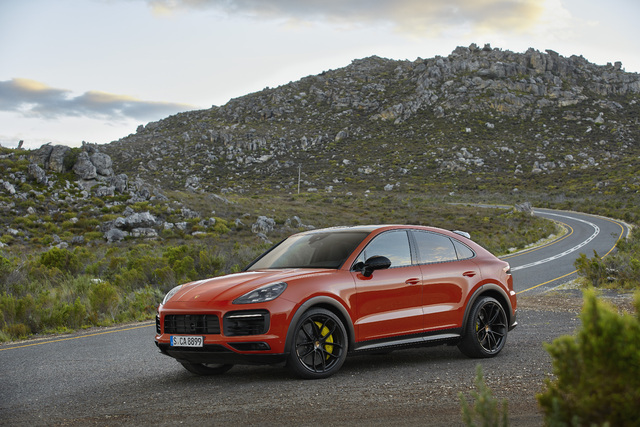 The Cayenne has five seats as standard, while the Cayenne Coupe comes with four, but bench-style second row and five seats in total is optional. 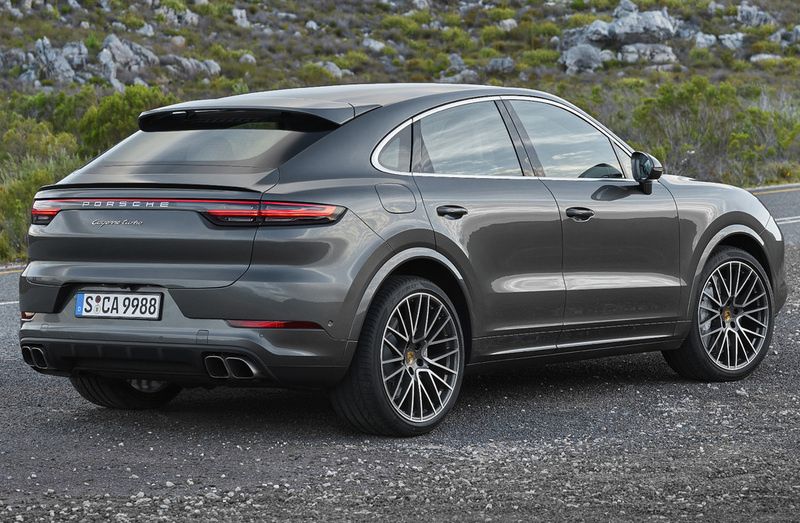 Porsche says the Coupe's faster roof line doesn't ruin head room as the seats are 30mm (1.2-in) lower. 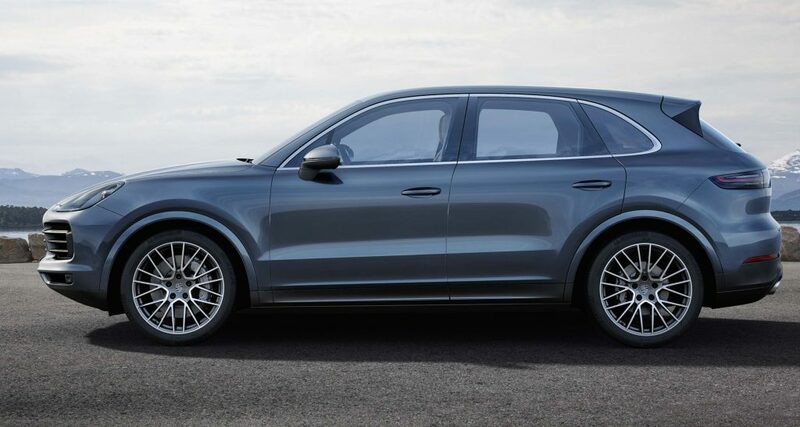 Neither model offers the option of seven seats. 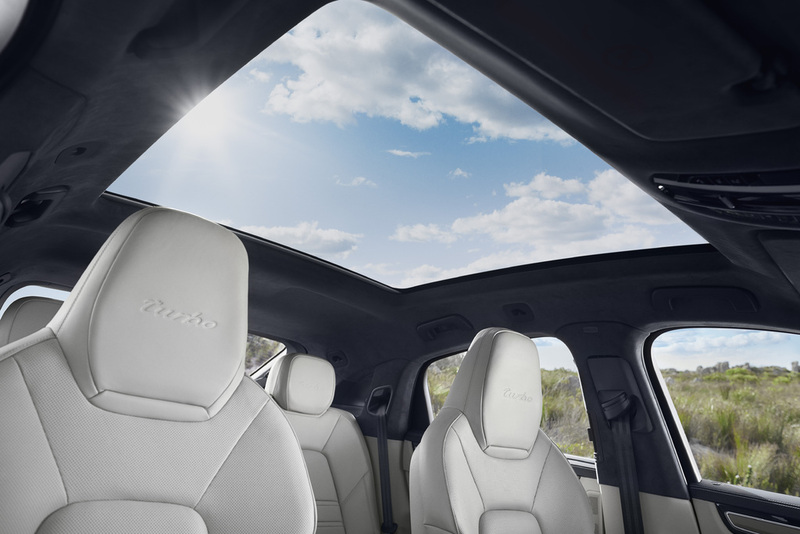 A panoramic glass roof is standard in the Cayenne Coupe, while a carbonfibre roof is optional. 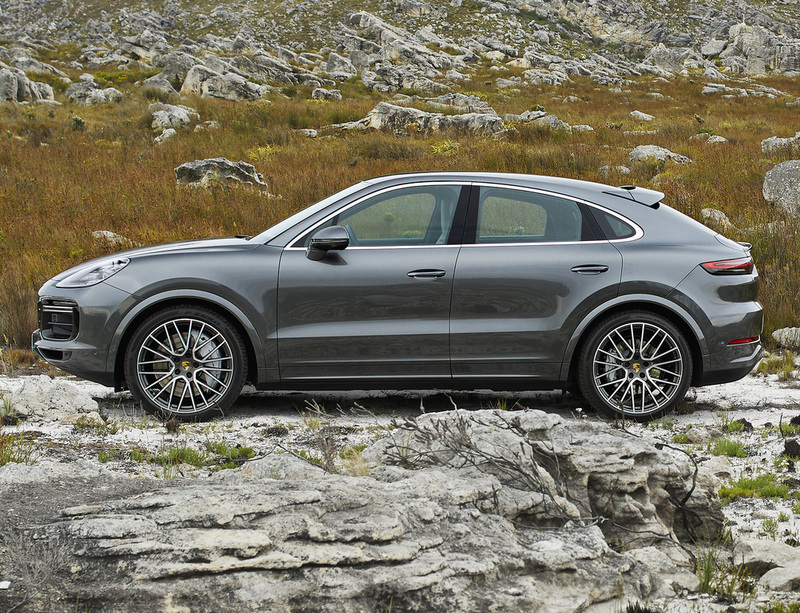 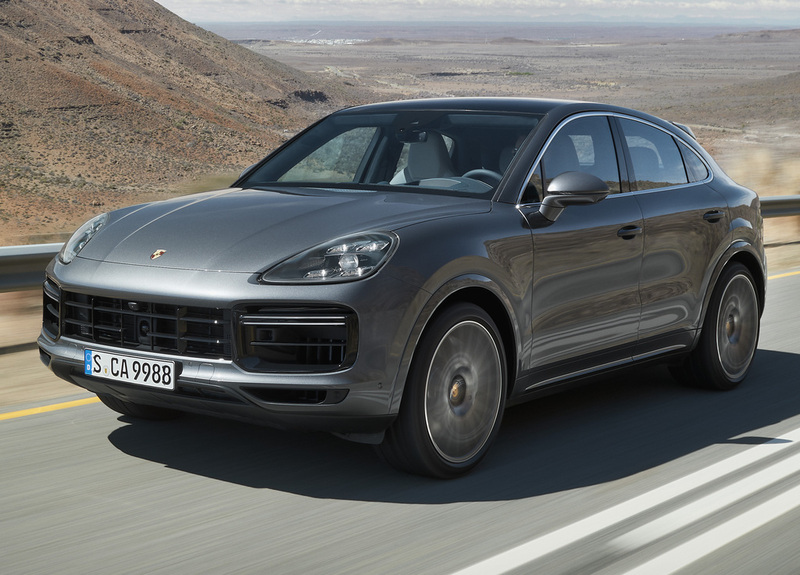 At launch the Cayenne Coupe is only available with drivetrains. 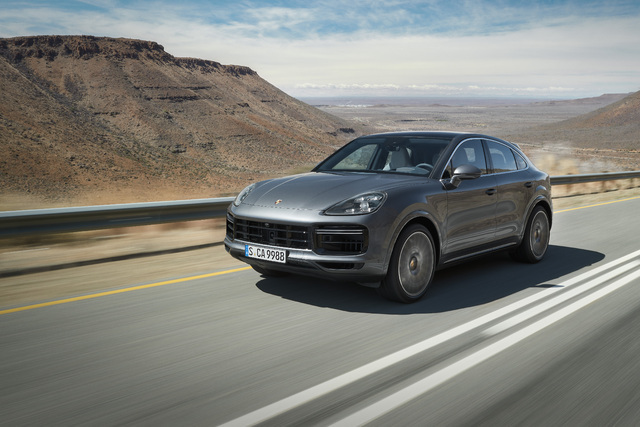 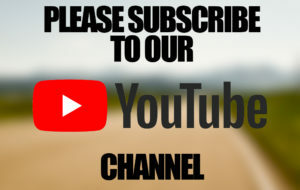 The base model has a 3L turbo V6 with 250kW (335hp) and 450Nm (332 lb-ft), and the Turbo twin-turbo 4L V8 with 404kW (542hp) and 770Nm (568 lb-ft).